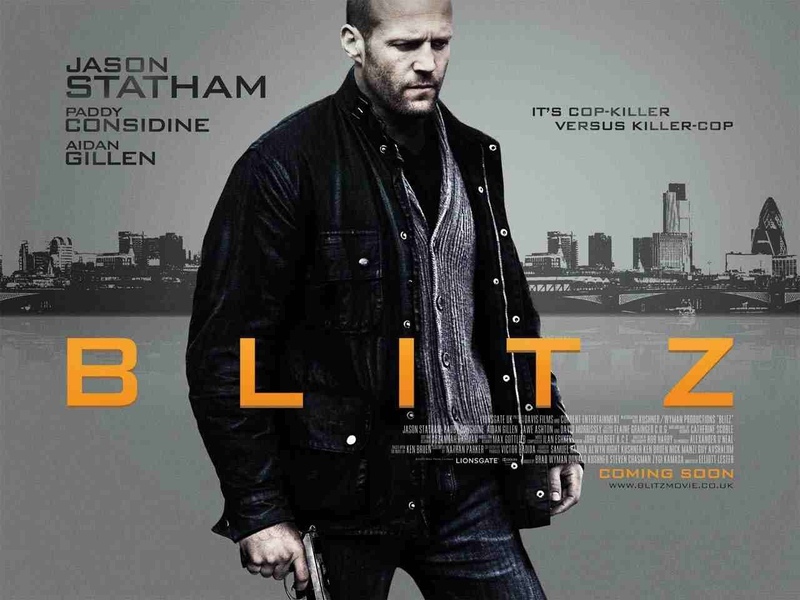 Starring: Jason Statham, Paddy Considine, Aidan Gillen, David Morrissey, Luke Evans, Zawe Ashton, Ned Dennehy, Mark Rylance, Nicky Heston. Jason Statham, or ‘The Stath’ (as he’s now known in the action world) kicks some arse in his hometown ‘Landan’ and to use a parlance from our Cockney friends, he’s not “‘avin’ a fackin’ bubble” either. He’s deadly serious and intent on dishing out some rough justice. Detective Sergeant Tom Brant (Statham) is a no nonsense cop, under investigation for alleged police corruption. Still, when a serial cop killer (Aidan Gillen) starts kicking around ‘daan the Old Kent Road’ bumping off the ‘bobby’s on the beat’, Brant is the only guy hard enough to track him down. Statham has went down a treat in America and has become a new action hero for them, but personally, I’m not into all that. Let’s face it, his films are aimed more at teenage boys. As usual, he does his thang of looking tough, talking tough and staying as far away from a razor as possible. Paddy Considine gets a brief moment where his class shines through but it’s hard not to feel sorry for him when he’s reduced to such material. Why hasn’t Considine been snapped up by the American market? He’s one of the finest British actors around at present and the biggest surprise for me, is why he’s even involved. It manages a marginal interest in seeing what is essentially “Dirty Harry” playing out in London. Nice use of locations also and a gritty urban feel, but sadly that’s about all. Statham’s hard man routine is wearing a bit thin these days. Considering he used to be an Olympic diver and a model he talks a bit too big for his britches. He carry’s it well though and his films are what they are really. Let’s put it this way, you hardly need your noodle when watching one of them. Watch the aforementioned Clint Eastwood/Don Siegel classic instead. It’s much more rewarding. This entry was posted on February 2, 2012 at 9:14 am and is filed under thriller with tags 2011. You can follow any responses to this entry through the RSS 2.0 feed. You can leave a response, or trackback from your own site.